The Defender coupler, made by B & W, is also called the "Defender Locking Gooseneck Coupler." 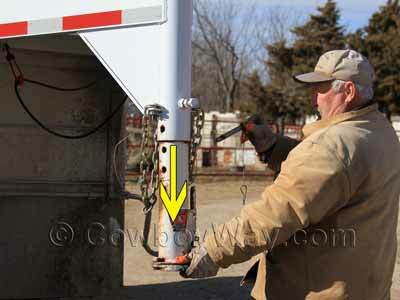 A gooseneck coupler is the piece that is inserted into the neck of a gooseneck trailer, then coupled, or hitched, onto the ball in the bed of the truck. 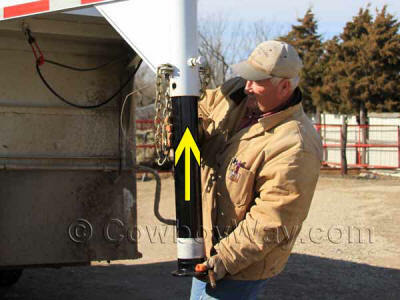 Below: Installing a Defender gooseneck coupler (black). See more information below. Cone Shaped - The bottom of the coupler, the part that goes over the ball and hitches onto it, is cone shaped. 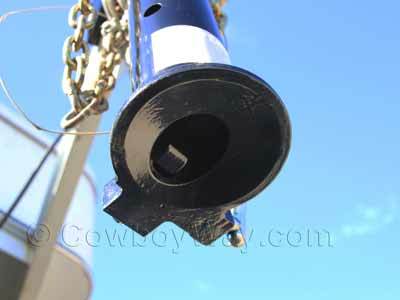 This helps to funnel the ball into the hitch, making hooking onto the trailer easier. Automatic Latch - When you lower the trailer onto the ball the Defender coupler automatically latches. With other types of couplers you have to manually latch the coupler to the ball, often requiring you to lean awkwardly over the side of the truck, or to crawl into the bed. Integrated Lock - The Defender hitch coupler has an easy-to-use push button lock. You can lock your trailer when coupled (to prevent unauthorized un-hooking of the trailer) or uncoupled (to prevent unauthorized hooking up to the trailer). 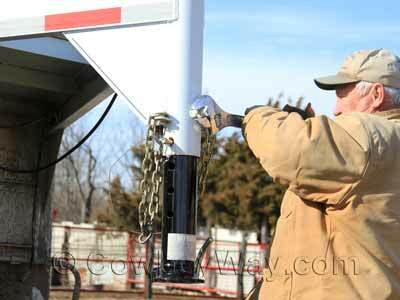 The B & W Defender gooseneck coupler is made in the USA in Humboldt, Kansas. 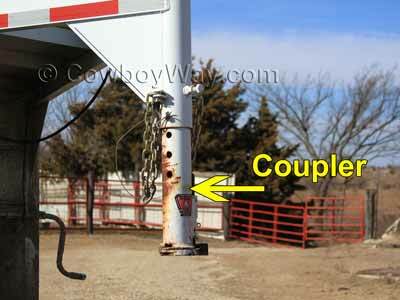 On most gooseneck trailers it's easy to change couplers. Below are a few photos showing the coupler that came with a gooseneck trailer being removed and replaced by a B & W Defender coupler. This is for general overview purposes only, and is not intended to be a how-to article. If you don't know how to replace a gooseneck trailer coupler, seek qualified assistance. A gooseneck trailer coupler. This is the original coupler that came on the trailer. Loosening the nut to lower the coupler. After loosening the nut and pulling the pin, the old coupler was lowered and removed. ......the nut was tightened. Installation of the new Defender coupler was complete. This photo is from a "truck bed eye view," showing the cone shape at the bottom of the Defender hitch. This shape helps funnel the ball into the coupler, making hooking onto the trailer easier. 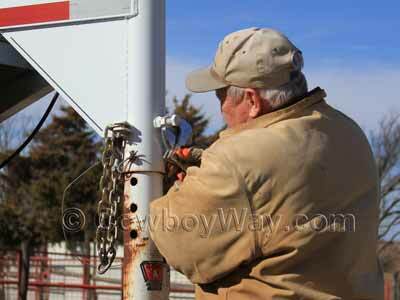 Below are a couple of videos about the B & W Defender gooseneck coupler.